For recommended books and WordPress Theme sources, scroll past the videos. 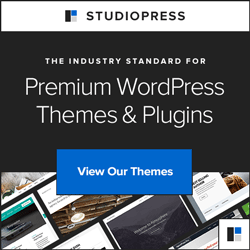 The WordPress Theme recommendations are affiliate links, however, they are sources I actually use and I chose them because they offer professional, responsive, high-quality designs that require a limited learning curve. Remember my mantra, Keep It Simple and Focus on Creating Content That Shows How You Best Answer the Needs and Desires of Your Target Audience. And for a limited time, I’m providing this downloadable version of my 35 Ways to Make Your Website Better. Many of my Intro to WordPress (aka WordPress 101) students have a few common questions. I’ll answer these first. If you just want the videos, jump to here. How do I install WordPress on my computer? You don’t. WordPress is not a desktop program. It doesn’t run on your computer. WordPress is a program that runs on a web server and requires the Apache web server and the MYSQL database programs to run. Everything you do with WordPress will be over the Internet through a web browser, like Firefox, chrome or Safari, using a web connection. On my WordPress.com blog, why can’t I [fill-in-the-blank]? Because whatever you are wanting to do is not allowed on your WordPress.com account. There are a lot of things not allowed. A free WordPress.com account is not the same thing as a self-hosted, fully-supported WordPress program-based site. I recommend a self-hosted WordPress program based site to my business students so they have complete control. You can find out the difference between a self-hosted website and a free WordPress.com blog here. Recommended hosting services can be found here. The two ways to log-in, depending upon your site’s navigation, are presented in just over a minute. In WordPress the difference between a Page and a Post is that Posts are organized are categories while a Page is unique like Contact Us or the Home Page. The basics of creating a new post are presented in this video. Now that we have a post, we start learning to edit and style our content (and find out what those little buttons do). Learn what the rest of those editing button icons do and how to correctly copy-and-paste content safely into your posts and pages. This is a series of videos about adding and editing images, media, and galleries in WordPress Version 3.5 and up. While most of the information for WP Version 3.0 is still much the same in WP Version 3.5, there has been a major change to the look-and-feel of handling media, and there has been the additional feature adding of allowing us to create image galleries directly in WordPress without a third-party plugin. 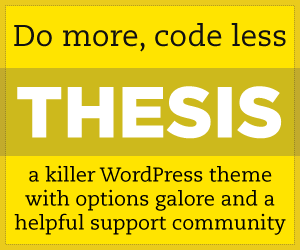 You should get your free themes from either the WordPress.org (available through the WordPress Administration menu at Appearances>Themes and clicking on the Install Themes tab) or oen of Smashing Magazine’s compilation lists to prevent infecting your site with hidden, malicious code. For the full story, check out the posts:If you are serious about your site, but don’t feel you can afford to invest in a custom theme development, I highly recommend you consider a commercial theme from the sources listed below (and yes, I have an affiliate relationship with them and receive a small referral commission if you click through and purchase something. The referral commissions are small (usually around $10) but help keep the site up). Also, please leave a comment below letting me know what is your biggest online marketing fear and frustration or what online marketing information you feel you need. And if you find these videos or this post useful, please feel free to link to it, tweet it, Like it on Facebook or share it. Carolyn, loved your style on your tutorials. I did learn a couple of things going through your videos. I have had issues with people commenting on photos that I have not even posted yet that were in my photo album that no one should have access too. I couldn’t figure that one out. I was getting tons of spam to my email from my comment page. It looked to me like robot talk playing off keywords I had used in my SEO. Not sure though. So I scratched the site with a better security site theme. I am having issues with using a home page that is static and also having a blog post so I can get some google love and to keep adding good content to my site for over all site management. Getting confused on site set up for static pages on the web site. Will get my questions in a better format for you to answer. 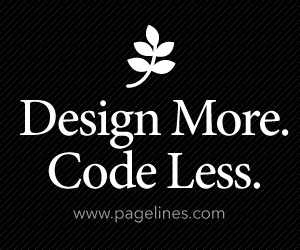 Looking forward to more tutorials on your site in the near future.